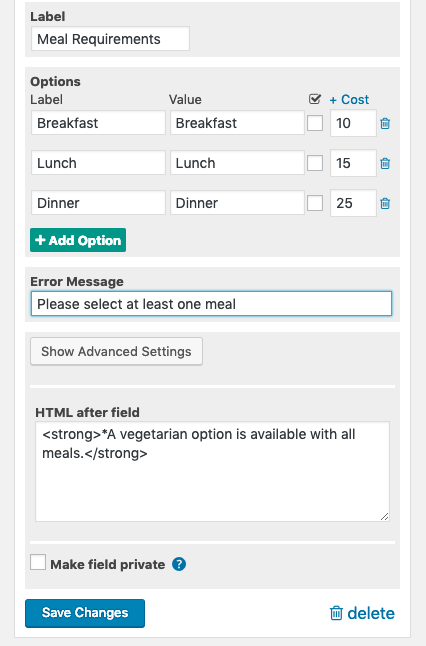 1) While on the Form tab change the Message Source setting to Translations. This will ignore all custom messages in the other settings and instead translate all text in the plugin using translation files. 2) Create new forms and form fields using the All Forms page under the Registrations menu item. 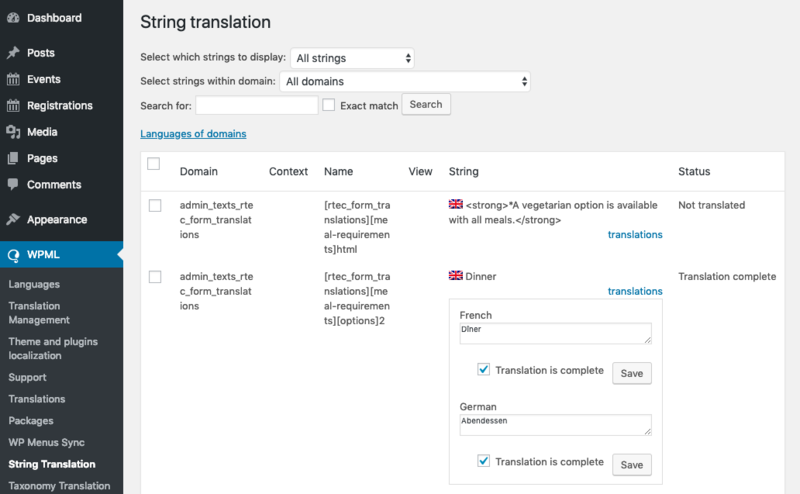 If a field you want to translate already exists, you’ll need to save the registration field in order to make it translatable. 3) Navigate to WPML->String Translation. Search for the domain “admin_texts_rtec_form_translations” to find form field text that is now translatable. You can also search for “registrations-for-the-events-calendar” to translate other messages in the plugin. Have questions? Please contact support.